A blistering heat wave has broken a 131-year-old record in Los Angeles. 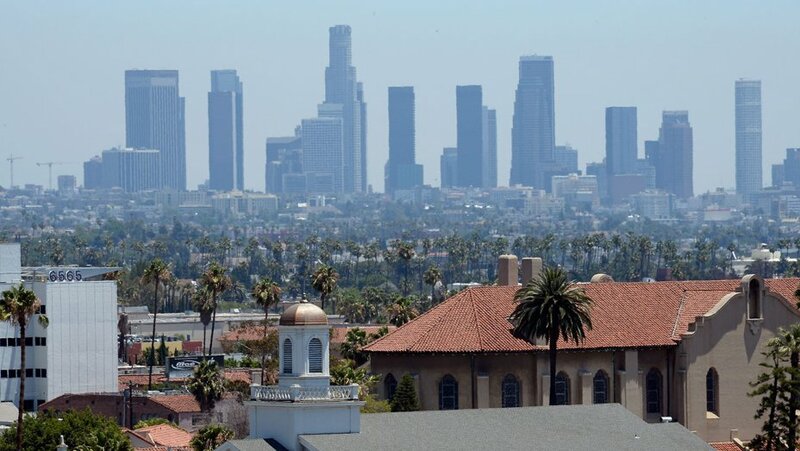 The National Weather Service reports that the temperature hit 98 degrees Saturday in downtown Los Angeles. That beats a record of 95 degrees for the date set in 1886. Other records for the day fell at the weather service office in Oxnard and nearby Camarillo, both in Ventura County. Oxnard reached 90 degrees, up from 87 back in 1992. Camarillo registered 88 degrees, topping a 1997 record of 87. Temperatures in the city of Riverside reached 108 degrees, beating a record of 106 set in 1908. Elsinore also set a new record. Temperatures there rose to 114 degrees, the highest since 1921. On Friday, Palm Springs hit 122 degrees. Its previous high for July 7 was 117 back in 1976. Southern California is under an excessive heat warning with triple-digit temps expected in valleys and inland areas. According to the National Weather Service, meteorologists claim a 112 year old record heat record has been busted in Phoenix, Arizona. A high on Friday of 117 deg F (47.2 deg C) smashed the previous record of 115 deg F going all the way back to 1905. With an average high temperature of 107 deg F (42 deg C), an increase of 10 deg F.